Rocky is not only one of the greatest sports movies ever, it is one of the greatest films ever. It was a dramatic, gritty, and surprisingly grounded film that redefined the genre, established now common tropes, and basically created the modern sports film. There's a reason it won best picture over Taxi Driver. Rocky II took the tropes of the first film, pulled out the guts, and refined them into what we now know as a boxing film, turning the franchise into an enjoyable spectacle instead of a character-centered meditation on fame, toughness, and family. Rocky II does sports movie really well. There's no one who gets to the end of Rocky II and isn't holding their breathe as Apollo Creed and Rocky both try to get up off the mat. There is nothing wrong with Rocky II other than the fact that it isn't Rocky. There is nothing wrong with Creed II other than the fact that it isn't Creed. Creed II picks up sometime after the original film with Adonis Creed (Michael B. Jordan) on top of the world after winning the heavyweight championship with Rocky (Sylvester Stallone) in his corner. 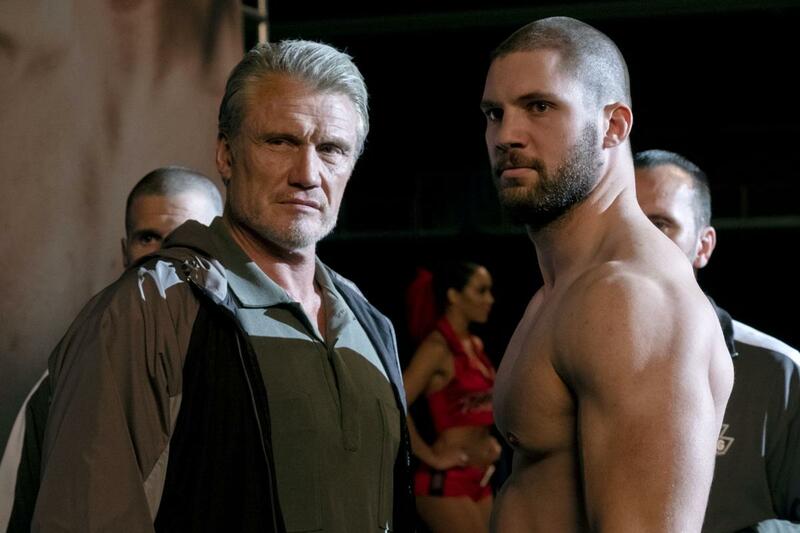 However, this stardom has brought a new challenger in the form of Ivan Drago's (Dolph Lundgren) son, Viktor (Florian Munteanu), who has been raised with one goal in mind: revenge on the man who ruined his father's life way back in Rocky IV. Meanwhile, Adonis' now-fiance, Bianca, (Tessa Thompson) is pregnant and his mother (Phylicia Rashad) is worried about him taking the fight. If you're thinking that this sounds a lot more like the latter Rocky films, you're absolutely right, because it is. Unlike Creed, which was a drama coated in a boxing movie this is a boxing movie through and through. The reason Creed succeeded as a reboot of the Rocky franchise is because it was less a Rocky film, and more a film on its own. Director Ryan Coogler brought a raw grittiness to the movie that pulled out Stallone's best performance since the original film and turned Michael B. Jordan into a true superstar. The first film used boxing as a way to discuss grief, loss, race, and a myriad of other subtextual subjects, while still giving you the final release that all good sports movies deliver. It was about guys getting punched in the face, but what made it special was that between those punches there was more. Creed II is pretty much about guys getting punched in the face. There's the trappings of something between the punches, but it's not point. There's actually some strong bones between those punches, but they're never really executed on. The film clearly wants to look at legacy and fatherhood, and has a great chance to by contrasting the Dragos' relationship with the Rocky/Apollo/Adonis one, but it drops the ball hard on the Viktor Drago plotline. There's an attempt to make both Ivan and Viktor something more than evil Russian punching bags, but it's so half-hearted that the true themes get lost in your desire to see Viktor fall to the mat. The first film would have subtly pulled these threads, turning everyone into well-rounded characters, this film just gets you pumped for the last boxing sequence, it's dramatic themes strewn around in the cheering crowd. The movie also dodges around the social issues that Creed so wonderfully handled. In fact it dodges around almost any issue at all. Considering the fact that Rocky IV was basically Cold War propaganda at its finest, it's stunning to see that Creed II doesn't even pretend to discuss the current relations between Russia and the U.S. The film completely ignores any and all modern day politics or social issues in favor of telling a boxing story in a social vacuum. The closest it gets to saying anything about anything is Adonis Creed wearing black American flag shorts in the final fight, which may or may not be a nod to current issues in America, but I'd lean towards them just thinking it looked cool. And now that I've complained about Creed II's lack of ability to live up to its forefather and its complete and total lack of social awareness, I have to say this isn't technically a bad thing. Sometimes a sports movie is just a sports movie, and Creed II is a damn enjoyable movie, as most of the Rocky films are for various reasons. It's cram full of sports training montages, moments that make you sit on the edge of your seat, and performances that deliver the emotional and physical punch when you need them to. Not that it's a hard feat to get the audience excited when you've got the Rocky theme blaring and two boxers going toe-to-toe, but Creed II does it admirably. It does this mostly through cliche and tried and true practices. Director Steven Caple Jr. is far more interested in making the film look stunning than he is in taking risks as his predecessor did. This makes for a visually sumptuous film, full of training montages that are often breathtaking to behold, but lack the groundedness of the original. The final montage, an inverse homage to Rocky IV's mountain climbing epicness, is especially striking in its visual direction, while being nearly as ridiculous as the scene that influenced it. Caple isn't quite as adept as others as keeping the in-ring action fluid, but he does a quality job. He's turned Creed into a blockbuster, and there's nothing wrong with that. Stallone, Jordan, and the rest of the cast seem to know this as well. Their performances aren't bad, but the heart and soul they pulled out of themselves for the last film seems to have drifted away. Stallone delivers his emotional monologues this time around as, well, emotional monologues. Jordan's Adonis seems more like a character than the real person he was in the first film, and Lundgren isn't given enough to work with to know if he's there or not. Muntenau is probably the most surprising performance as the boxer delivers sadly limited turn that still shows surprising emotional range for having almost no lines. Still, everything is taken up to that "sports movie" level where every moment is larger than life. It doesn't help that the screenplay is set up more like a traditional sports film, with dialog that can be clunky and scenes simply building to the next boxing match. But I've started complaining again when I really shouldn't be. Creed II is an entirely enjoyable, well-crafted, well-directed, well-acted sports film. If Creed did not exist you'd come out of it having enjoyed a new Rocky film, and thinking that it was on par with what the franchise had become since the original film released. Maybe then the film is actually wildly successful in confronting its themes of the expectations put upon us by our predecessors. Here we have Creed II being criticized because it isn't its "father." On any level, you could call Creed II a success, but it was never going to live up to its heritage. Maybe Creed II's true message is that it shouldn't really have to.